Welcome to the Harrah’s Las Vegas Review. Do you need a facility that has the vibe, whose rooms are affordable? Are you looking for a casino resort that is at the heart of the Strip? Harrah’s Las Vegas is the facility. You can locate them at 3475 S. Las Vegas Boulevard, Las Vegas, Nevada 89109. Rooms at this facility are not expensive. Many people visit this place because of that. There are also selections of shows that keep clients coming. Restuarants, bars, eateries and stalls here have the vibe you are looking for. It is interesting to note that this is one of the facilities in the world where a client can bargain on accommodation. Above all, this means that a single room can have different prices. Also, this depends on who you are and your bargaining power. Do you know why the facility receives many clients? 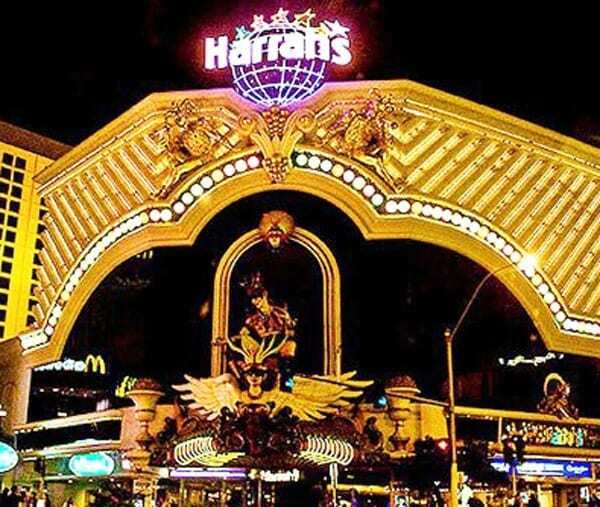 One main reason is that Harrah’s Las Vegas is at the heart of the Strip. It is because of this one big reason that it’s full. Many people want to enjoy a full view of the Strip. They do not want to pay an extra dime by staying far from the Strip. Those who book rooms outside the Strip will have to pay more. It costs them money to get a cab to the Strip. Sometimes it is hard to imagine the benefit of visiting somewhere. If that is the case, you need to fathom. You need to put yourself in the act. Assume that you are visiting the Strip. What is more, assume that you have a room in the Circus Circus Las Vegas. How will your normal day be? Let us try to imagine using Circus Circus as the epicenter. Remember, all we want is to have enough of the Strip. After all, if you do not want anything with the Strip, you cannot come here. There are many hotels out of the Strip. You wake up in the morning. After taking breakfast, you can walk over to The LINQ Promenade. It is just next door! Get on the High Roller observation wheel. From this hotel, eat, drink and shop like a Roman Emperor. All these you can do them from across the street at Caesars Palace. I know by now you are thirsty for some fresh scenarios. If so, it is time you cross over to The Mirage. Certainly, this is the venue where dolphins swim, and a volcano erupts nightly. So you can imagine how convenient the Harrah’s Las Vegas is. Restaurants at the Harrah’s are top-notch. Many visitors praise this place. They agree that meals are delicious. Everything you eat here is sweet. There are particular restaurants that people visit for special meals. Toby Keith’s I Love This Bar and Grill is one such a place. From here, you can eat your delicious bologna sandwiches. Two bars at the Harrah’s are particularly a rock. The first one is the Carnaval Court. It is more of a street party. Here, you will encounter live DJs. Bartenders pour cocktails as if it is none of their business. Back to Harrah’s Las Vegas rooms. You may not want to post photos of your room on Instagram. Maybe you know why. But the fact remains, the place is convenient for Strip lovers.